Think you know Donkey Kong? Think again! 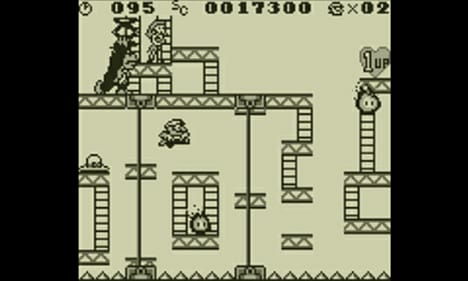 This Game Boy version, now avaliable on the 3DS, takes the arcade classic to a new level, with 101 unique stages of platforming perfection. Like the original, Mario must rescue Pauline from DK’s clutches; but beyond the initial arcade-style stages lies a whole new experience. In each new action-puzzle themed level, Mario must dodge traps, avoid enemies and hit switches, to bring the key to the exit. Luckily Mario has learned some new moves, too, like the handstand and backflip; and he’ll need all his skills to contend with Donkey Kong in the numerous boss battles. Go teach that ape some manners, Mario! Please Note: Donkey Kong for Nintendo 3DS is 48 Blocks (5 MB). Check that you have enough space on your SD Card to download and install this title, if you need more storage space click here for our range of fully compatible SD Cards.